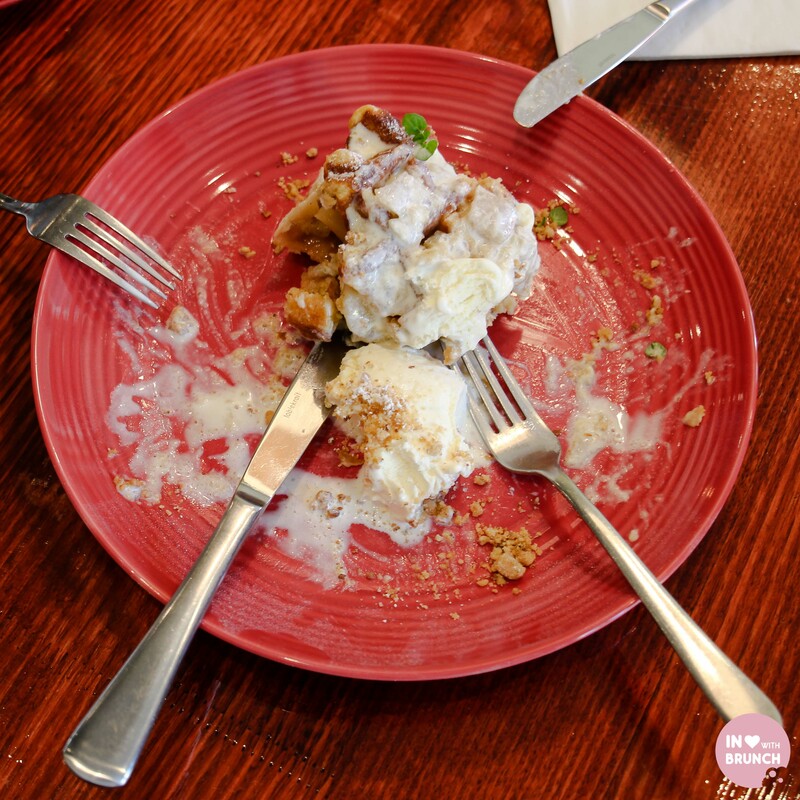 last weekend my husband and i were invited for brunch at two kings cafe in the melbourne south-east suburb of bentleigh. the cafe opened for business in february of this year, and is owned by jochem den boon and chef eddie leonard. 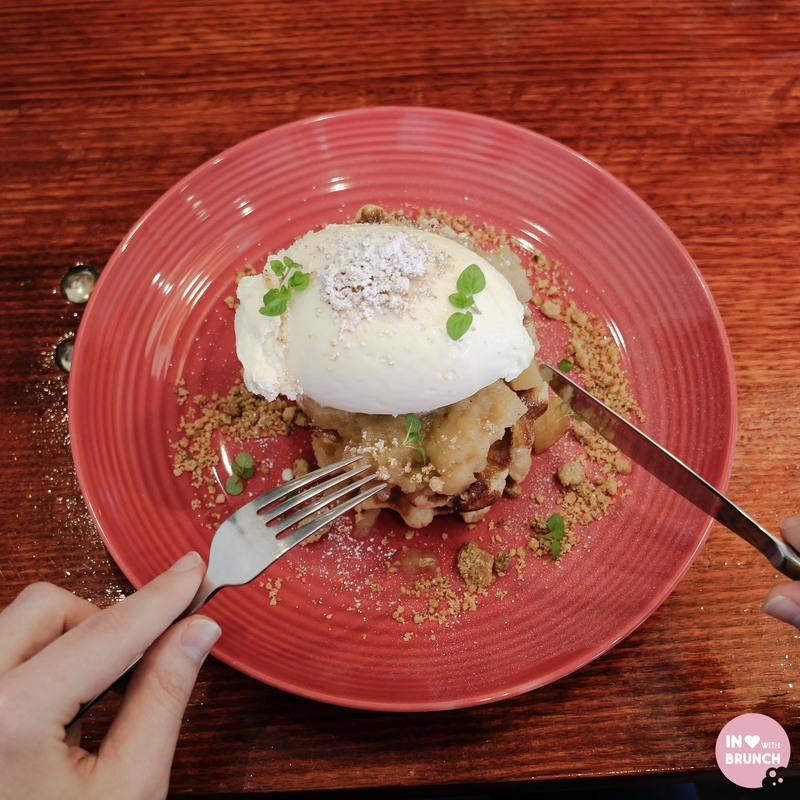 eddie was previously a chef at france soir and bistro thierry, as well as head chef at chez bob and the prahran hotel when they first reopened after the refurbishment. with a pedigree like that, i was anticipating amazing food! … just how amazing though, i don’t think i was quite expecting! the fresh soft avo had been mixed with a combination of salad onion, capers, lemon and feta. it had a lovely zesty flavour which complimented the crispy, grilled side of bacon that i had added. 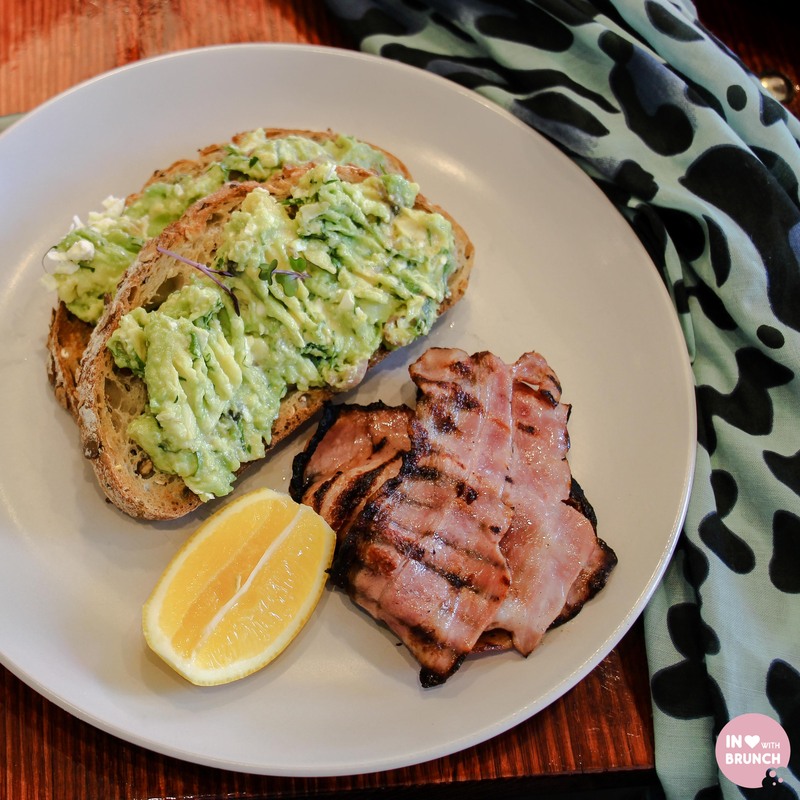 this is some of the best bacon i can remember having in a breakfast dish recently, and i couldn’t help but ask where it was sourced: tibaldi pork – an australian-owned and melbourne-based business that has been running since 1934. it was seriously delish! 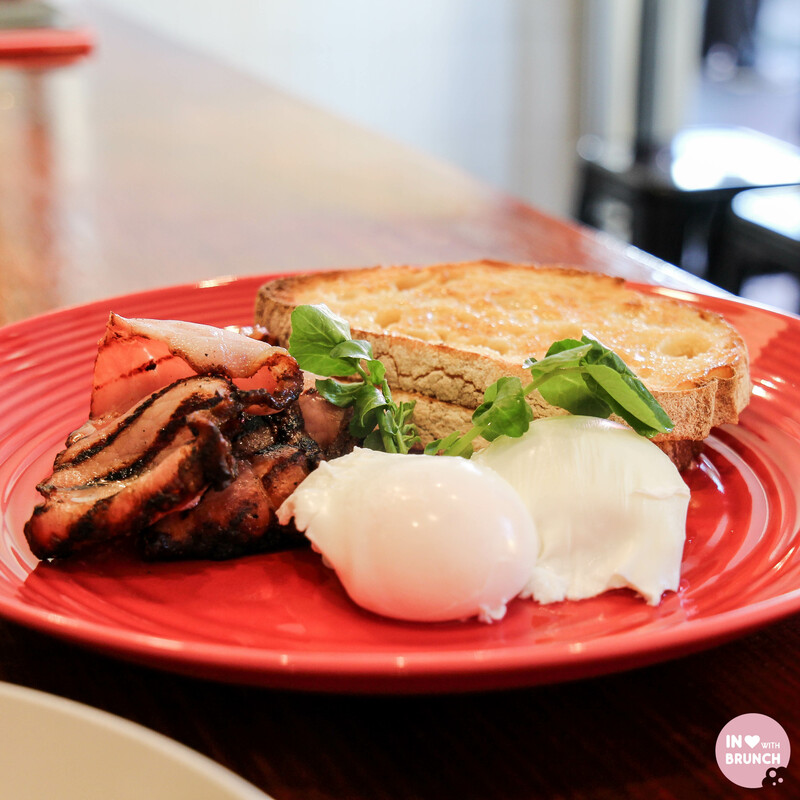 when you hear the words “best poached eggs i’ve had in melbourne”, i wouldn’t ordinarily associate them with a small local café in south-east melbourne. but… and it’s a big call i know… these were the exact words uttered by my husband (who will only eat his eggs poached) following his first bite. and by the looks of them, i’d have to say i could totally see where those words were coming from. the organic eggs were perfectly poached, to the point where the golden yolk was still completely runny but the white was actually cooked – not watery or running around all over the plate, and without the tell-tale sign of having been cooked in plastic wrap. and again, the generous serve of bacon was crispy and cooked to perfection. 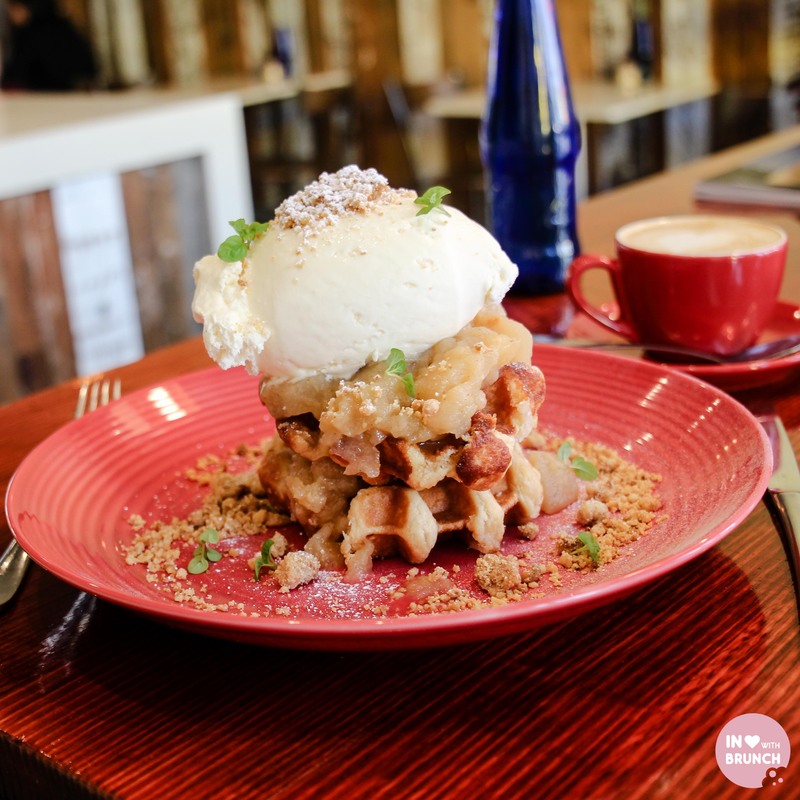 firstly… the eye-catching construction of two waffles interspersed with a generous serving of poached apple and pear and then topped with a towering scoop of vanilla ice-cream was worthy of an engineering design award. but more importantly, taste-wise this dish was unbelievably well-balanced… i was expecting it to be super sweet given the ice-cream and apple-crumble combination, however was pleasantly surprised to find the poached fruit had not been overly sweetened, the crumble had a luxurious buttery taste and the use of maple syrup was restrained to just the right amount. this was THE perfect way to finish our breakfast – with just the right amount of flavour and texture to satisfy. 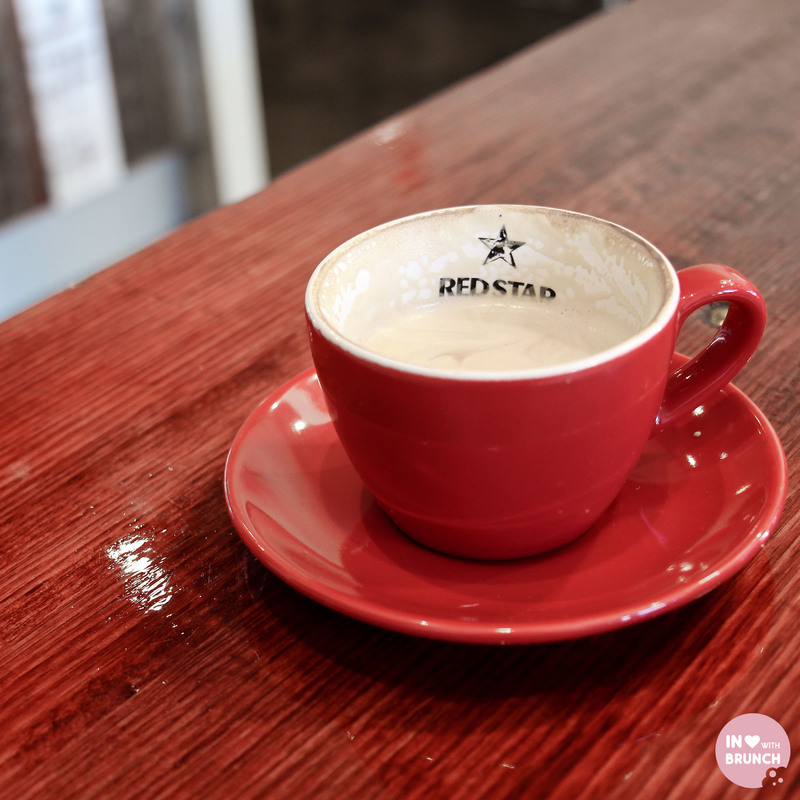 on the coffee side, two kings are serving up redstar – another delicious melbourne-roasted speciality blend that focus on sourcing unique micro-lots to produce an ever-evolving blend to suit coffee tastes and trends. they have a fantastic ‘direct from the farmer’ philosophy promoting transparent supply chains and fair prices for growers. i found this particular blend mild + well-rounded with a subtle hint of fruits + a nutty after-taste. 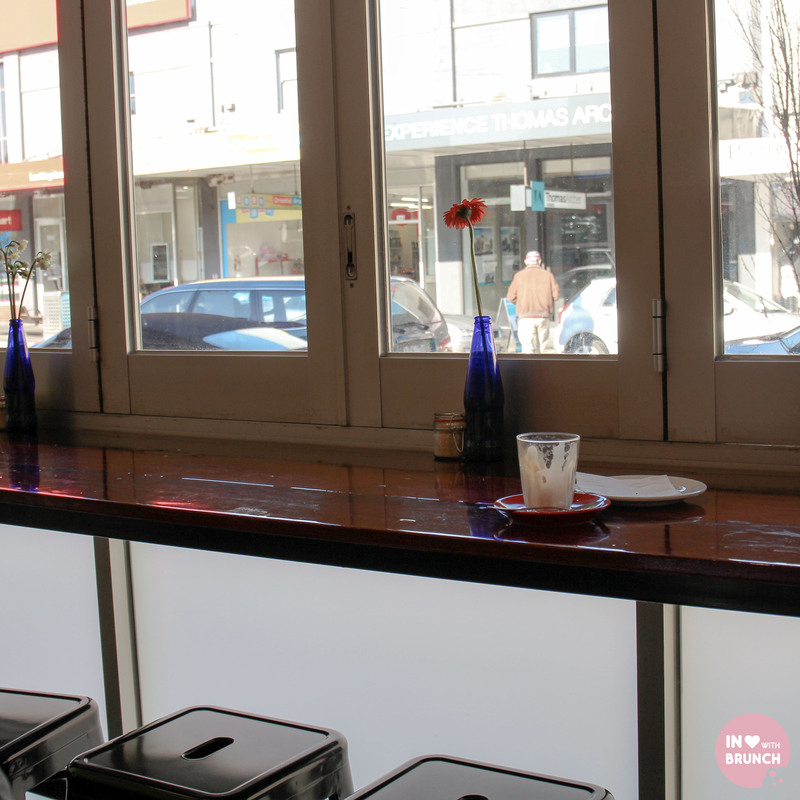 the cafe itself is in a great spot along the main street in bentleigh, with a huge bi-fold window that runs the length of the shopfront with a view out onto the street… i could imagine it being a great ‘people-watching’ spot when open on warmer days. the rest of the interior is spacious + open with huge vaulted ceilings, and plenty of space for prams or big groups towards the back. service throughout the morning was friendly but laid back – the staff appeared to genuinely be enjoying themselves – interacting with customers and having a good time. overall the vibe at two kings is down-to-earth with a strong focus on customer service. however, it’s biggest asset for me was the food: a trendy menu but not over the top for its location, with perfectly-executed good quality delicious food! 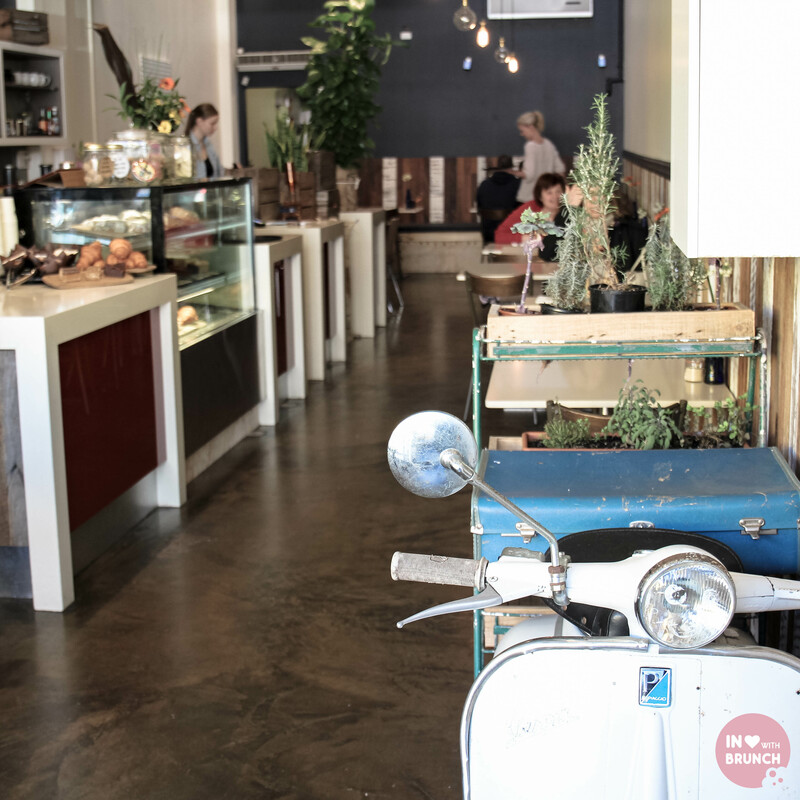 Ooh, glad to hear this is worth a visit – it’s in my hood, and Centre Road, Bentleigh has always had great cafes!